One student described Professor Elizabeth “Buffy” Bondy has her academic mother. 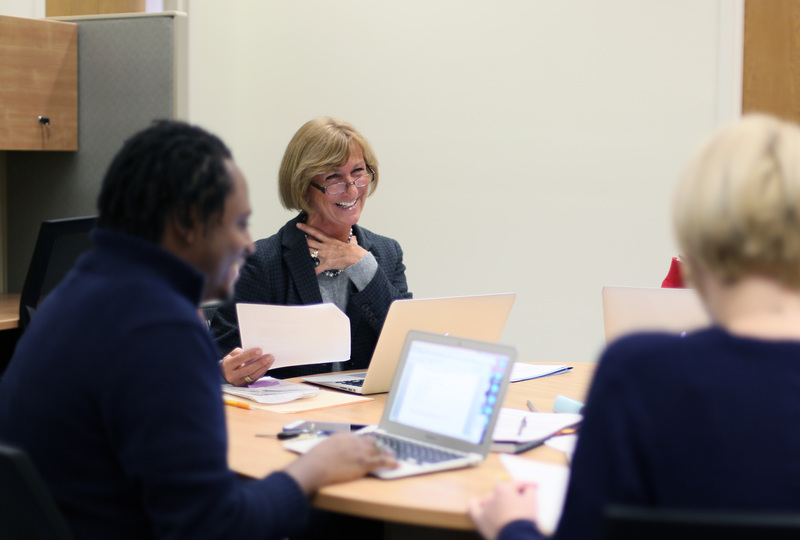 Elizabeth “Buffy” Bondy says mentoring doctoral students is at the heart of everything she does. A College of Education faculty member since 1989, Bondy has so many doctoral students that she has to turn some away. She even mentors other mentors. Happily, this is work she loves to do. No wonder Bondy has won the highest honor UF bestows on faculty mentors. She recently was one of six professors across campus to receive the 2016-17 Faculty Doctoral Mentoring Award, an annual honor that recognizes professors for excellence, innovation and effectiveness in mentoring doctoral students through dissertations. Bondy’s primary area of research is unlocking ways to improve elementary education, particularly in high-poverty and urban settings. She served as director of the college’s largest unit, the School of Teaching and Learning, from 2008 to 2014. During the summer of 2017, she has 13 doctoral students who are working on dissertations or qualifying exams. Her seminar on critical pedagogy, which she has taught for some 15 years, is often over-subscribed. Because of such high demand, she developed a follow-up doctoral seminar in the spring semester. She also is collaborating with doctoral students on grant-funded research projects, which itself involves a high level of mentoring. She even advises junior faculty members who are learning to mentor doctoral students for the first time. Bondy becomes animated when discussing her role as a mentor, and it quickly becomes obvious that she loves what she does. The mentorship award comes with $3,000, plus another $1,000 for use in supporting her doctoral students. She plans to use the money to pay for two students to present with her at a national conference in Salt Lake City later this year. Current and former doctoral students praise Bondy’s mentoring abilities. Hambacher, now an assistant professor at the University of New Hampshire, says she continues to collaborate with Bondy on research projects: This year they co-published two research papers and presented at national conferences. Doctoral fellow Brittney Beck wrote in a nomination letter that “Dr. Bondy recognizes that being and learning to become an educator and researcher is something that involves all of you – mind, body, spirit. Bondy says effective mentoring is not a one-size-fits-all endeavor. She works closely with traditional grad students on campus who need individual attention to complete their research projects as well as practicing educators across the country who are working full-time and simultaneously pursuing advanced degrees.